Dominic Williams-Pearce, 24, of Buckwell Place, was arrested yesterday (Tuesday) by officers from Operation Worcester, a police drive to tackle drugs and firearms offences in Wellingborough and East Northamptonshire. A Northamptonshire man is to appear in court after he was charged with a number of drug and firearm offences. Dominic Williams-Pearce, 24, of Buckwell Place, Wellingborough, was arrested yesterday (Tuesday) by officers from Operation Worcester, a police drive to tackle drugs and firearms offences in Wellingborough and East Northamptonshire. 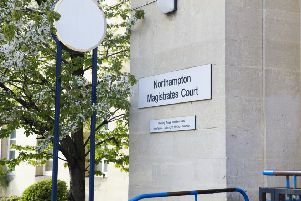 He will appear at Northampton Magistrates’ Court today (Wednesday) charged with two counts of possession with intent to supply Class A, possession of a firearm, possession of an offensive weapon in a public place and obstructing a police officer.